Street Fighter Menat #1 (2019) Regular Panzer Cover & Hanzo Steinbach Pencils, Ken Siu-Chong Story The first in a series of new Street Fighter one-shot comics! 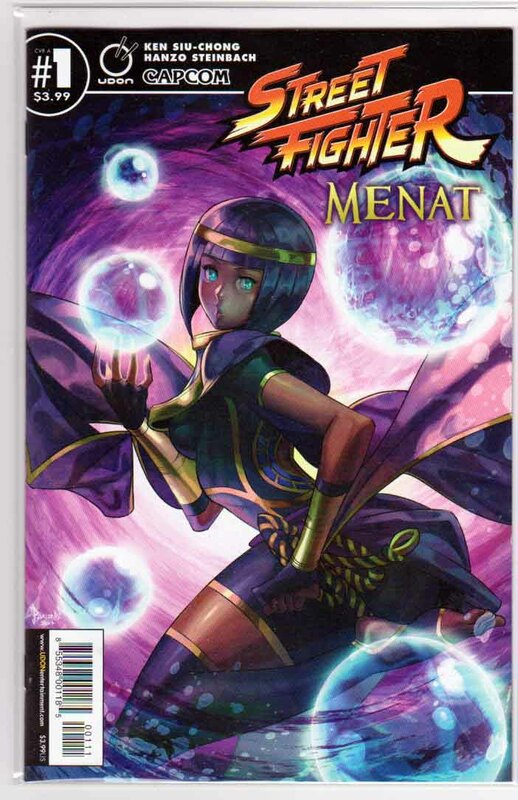 Meet Menat, the enigmatic Egyptian fortune teller on a quest to avenge her master's death. But it's not just any villain Menat is seekingà it's the Dark Lord of Shadaloo himself - M.Bison!